The first netting project I ever tried was our Creepy Crawler Bracelet. I was really excited to make this Halloween piece, but it used all Opaque Black Round Japanese Seed Beads. Because all of my beads were the same color it was very difficult for me to follow the pattern and remember which beads to go back through as I formed my rows! My first attempt at this stitch was a mess, but you can use today’s tip to keep track of your pattern when you’re learning netting! 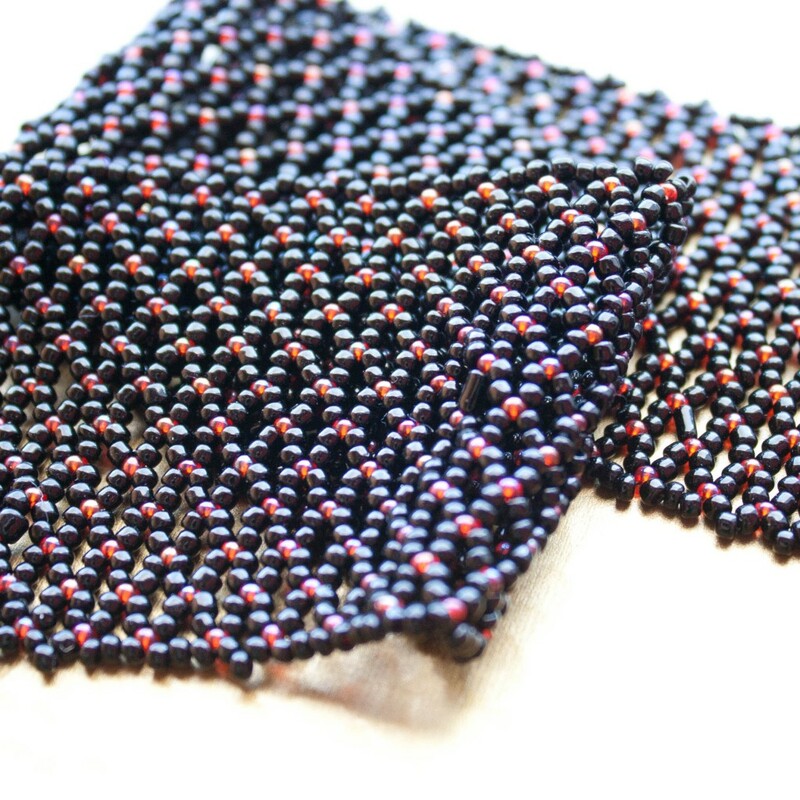 Using a different color of bead at the intersections of your netting stitch lets you immediately see your pattern. By using a red bead in my project I don’t have to constantly count my beads to know where to go back in with my needle. I love that little pop of color they add and I can’t wait to finish and add my spooky spider charm! Our Basic Netting Technique shows this tip perfectly and you can also see it in our Mint to Be and Aquanet Bracelet Inspiration Projects! That’s a great tip Ruth – thanks for sharing it with us!